"If I could give them a higher rating for speed and flexibility, I would...."
"I can't begin to say how pleased we were with this contractor. Giovanny..."
Painting is the most popular DIY project, but given low interior painting costs, many homeowners hire local house painters. From choosing the right color, paint sheen and design to adding too much or too little paint, a few things can turn a DIY painting project into a DIY nightmare. Fortunately, there are plenty of interior painters near you ready to tackle your interior painting project. Compare reviews, portfolios, experience and more from the list of local interior house painters below. When you’re ready, ImproveNet can help you connect with the top interior painting contractors near you. As you can see below, we found the best interior home painters near you. Nonetheless, schedules, budgets and payments can all drastically affect your relationship with an interior painting contractor. In addition to seeing what’s out there, the potential house painters must see the space in order to provide an accurate painting estimate. This way, you can ensure the painting companies near you are providing estimates for the same amount of work. Always ask your painting contractor for reviews from homeowners near you. Also, have them show you their portfolio if they don’t have a website. Interior painters with more experience generally charge more than painters just starting out. 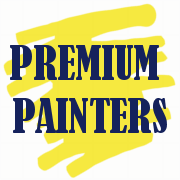 Professional painters do not require licenses or insurance, but it never hurts to have both. Interior painting contractors like to bring in multiple painters for larger projects. Your painting estimate and timeline will depend on the size of their crew. Just like any business, if your desired interior painter is busy, they will charge more if you want to paint your interior ASAP. Most residential painters want half payment up front and half when the interior project is finished. Most interior painters want a check or cash, but some accept credit or online payments. Interior painting costs vary by project size and contractor. Cheap painters may charge a few hundred in labor for a small bedroom, but quality house painters will charge $300 to $500 for labor (not including paint costs). Most painting companies prefer to talk on the phone. Some interior painters like to text and correspond through email. Small interior painting projects should only take one day. Painting the entire interior, assuming they have a painting crew, can take up to a week. Many interior painting contractors buy the paint for you. They may charge extra, but then again, they also may be able to get a discount from the store because they’re buying in bulk. Ask your painter what they prefer and what is cheaper. Before you sign any interior painting contract, know exactly when payments are due and when the project should be completed. Beyond all the points above, you have to know average painting costs near you. According to our interior painting cost guide, most homeowners spend roughly $1,700 to professionally paint a room. To lower your painting price, make sure you address all points mentioned above.